Welcome to Stay in Touch Center’s brand new website. 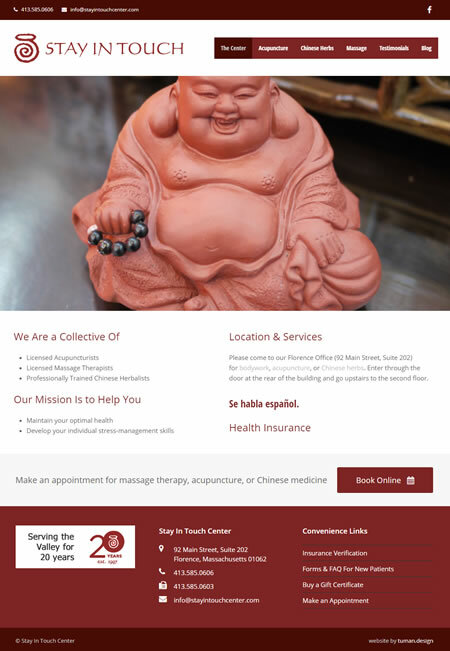 We redesigned it during our 20th anniversary year to make its design cleaner and more contemporary, work better on devices like phones and tablets, and to generally improve the ease of our patients’ experience online. We’ve also added a blog to answer interesting questions, let you know about news at the practice, and inform you about why we do what we do.